Student loan debt can put a major dent in any plan to retire, much less retire early. 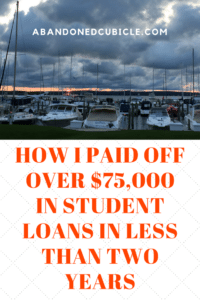 A couple of years back, we were sitting on roughly $135,000 in student loan debt. 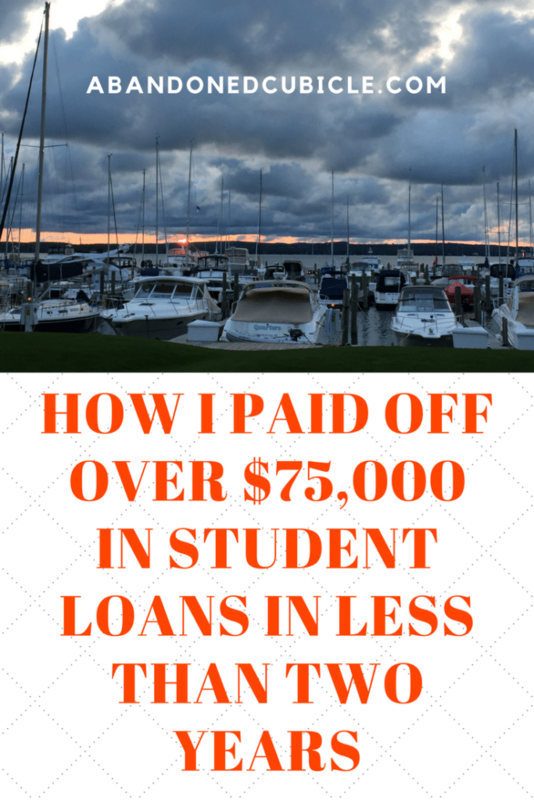 This post is all about how we cut that debt down at the knees. The silver lining of student loan debt is that it wouldn’t be there if you hadn’t received some form of education. Ideally you got a degree and landed a job a little easier because of it. So often, it doesn’t even matter what you majored in. My degree has absolutely nothing to do with my current profession in project management. Knowing how your student loan interest rates impact your debt situation is key. That $75,000 chunk of our $135,000 total had a fixed interest rate of 4.6% The rest of the debt, roughly $65,000, sits forever at 2%. Understanding that inflation historically averages around 3%, it makes zero sense to target paying off the $65,000 ahead of schedule. Let that pile sit and ferment! Pay the minimum forever, because you’ll make more money by investing in the market than by freeing up the relatively small monthly payments on your balance sheet. 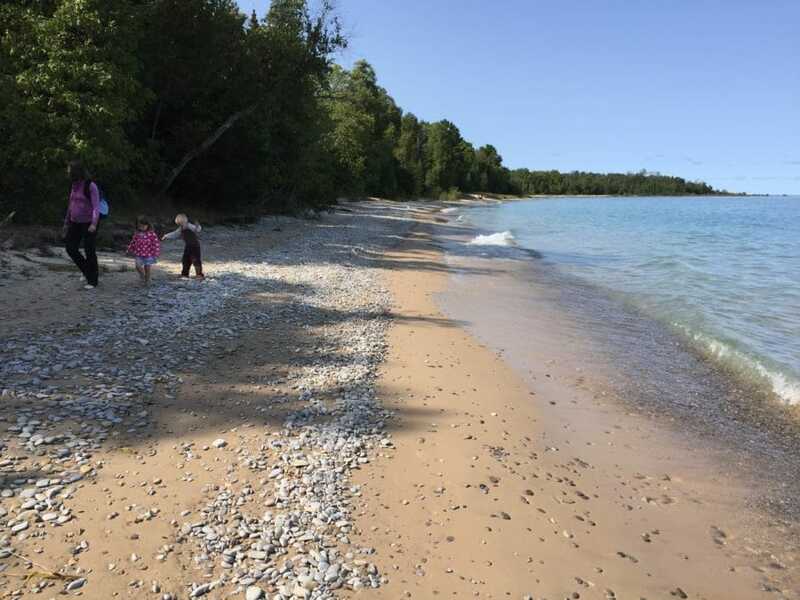 Lake Michigan – My kind of landscape architecture! By paying off $75,000 of our student loan debt at the higher rate, we eliminated over $300 in monthly payments that are now going towards the mortgage pay off. I guess this is how a “debt snowball” works. It is rewarding to see it in action and watch your net worth climb out of the doldrums slowly and steadily. So how did we make it happen in less than two years? While paying childcare for twin infants? Looking back, I think we were on autopilot most times due to lack of sleep. But here, let me break down the key actions we took. Hopefully you will find it useful! Live SMALL. And don’t buy that bigger house. We in fact were THIS close to buying a bigger house because, well, we were expecting twins. And that’s just what you do, right? WRONG! Another dirty secret for you fine readers: we got turned down for a mortgage on a $435,000 house just a few blocks over from our $275,000 gem. Why? Because you need to rent out your rental homes for at least twelve months for it to count towards your income. We had only been renting ours for nine months, so we looked like over-leveraged stooges to the lender. Point is, we got lucky getting turned down. Nowadays we look back and are grateful things wound up where they did. The twins are doing just fine sharing a room, and we find our 1,500 square feet of living space more than adequate. Become a landlord. This one helped big time. If you’re able to scrape up enough capital and get that first property going, you’ll quickly yield some nice margins on rent. The hidden benefits come at tax time, when depreciation and maintenance expenses help reduce your overall tax burden. My dirty secret? I had to use a home equity loan on our house to pay the down payment on our first two rentals. But I quickly paid that off with rent money within six months in each instance. Get into rentals – it’s a game changer. Be the employee (and entrepreneur) of the month. Something happens to you when you have kids. Yes, my wife and I became zombies there for a while with twin babies. But, we also became that much more responsible. I think that translates to your work life somehow. Subtle, but true in our case. I turned a bad situation into a good one at the office, moving laterally into a job where I excelled. Bonuses and raises seem to come easier with a newfound responsibility back at home. An irony, when all you want to do is be home with your family! At the same time, highly successful Mrs. Cubert was killing it with more and more patients coming to get her services. I tell my employees to get results, and make friends in the process. Good things follow. Use Credit Cards. Yep. We hacked bonus points. I was about to tell you we didn’t travel for two years but I’d be lying if I did. In truth, we’d go bonkers if we didn’t get out of the Minnesota cold at least once in the winter. I signed us up for a Chase Sapphire card and Chase Ink for our businesses. We combined our bonus points, and flew to Nevada for free. We stayed with the in-laws, so there was no lodging expense. If you have to travel, don’t pay for it. Use credit card bonus points if you can, otherwise, limit yourself to road trips. Sell sh*t. I can’t tell you how much crap we’ve accumulated over the years. Because I sold most of it. Seriously, we had a lot of stuff you just don’t need or care about anymore when you become parents. I sold a TAG Heuer watch on eBay, comic books, and my Honda Accord on Craigslist. I unloaded my sweet audio system and speakers. What am I going to blast with babies sleeping all the time? Certainly not “The Chronic.” There’s two key benefits to minimalism: less clutter leads to less stress, and two, you make a little coin selling off that crap you don’t need. Bonus: Consolidate your loans with a super low rate. Check out SoFi. They are known for some of the lowest consolidation rates out there. Living within your means is probably the most obvious and least prescriptive advice you’ll get for reaching your financial goals. There’s much more to it than that. Certainly, you could live small, drive a used car (or better yet, ride your bike.) You could even rent out an extra bedroom if you’re stuck in a large luxurious home that’s underwater. The flip side of the coin is to focus on how to make more money at the same time. Don’t just focus on saving! There’s only so many pennies and dimes hiding in those couch cushions. If you want to deal with debt, and quickly, you’ve got to find side gigs that pay. Start a blog. 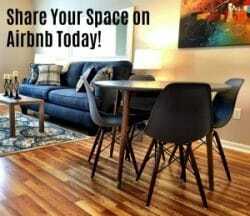 Rent a house, condo, or room in your basement. Get a part-time job. Even better, become the A player at your office with a focus on strong relationship skills. The snowball rolls that much quicker when you put emphasis on the money-making side of the equation. Kudos to you for being disciplined in paying off student loan debt! Your story is inspiring to me in many ways and I am now going to concentrate on selling all the “stuff” I really don’t need as a start! Thank you! I guess part of the “real story” is when you aim to live small, you run out of room fast when adding two new humans to the mix. ???? Bonus points are life-changing. We started using them last year and used the points to pay for all of our Christmas gifts. Boom–no budget impact from the holidays. I love the idea of getting into rentals, too. It’s not for everybody, but it’s a good way to earn passive income, particularly if you already own the property. Bonus points are such a key part of our finances these days. I think we pay for easily half our travel each year on points alone. Nice work on using yours to tackle gifts at Christmas! Awesome job! We sold so much sh*t during our debt payoff too 😉 And you gotta love credit card points! I love the Lake Michigan pic! Where was that taken? Haha! I didn’t even mention the 20 year old mountain bike I sold earlier this summer for $350 cash. Bam! That’s good hunk of change. Great job! I’m really itching to get into real estate! Success stories like yours get me excited…I almost forget about all the tenant horror stories. Also, I’m not sure I could ever get rid of my audio system! Thanks man! Yes – you should definitely consider real estate. The tax benefits alone make it a worthy side gig. Don’t feel bad about your hi-fi. I’m scheming to rebuild my hook up when early retired – which is also when the kids will appreciate my more eclectic music tastes ??? ?